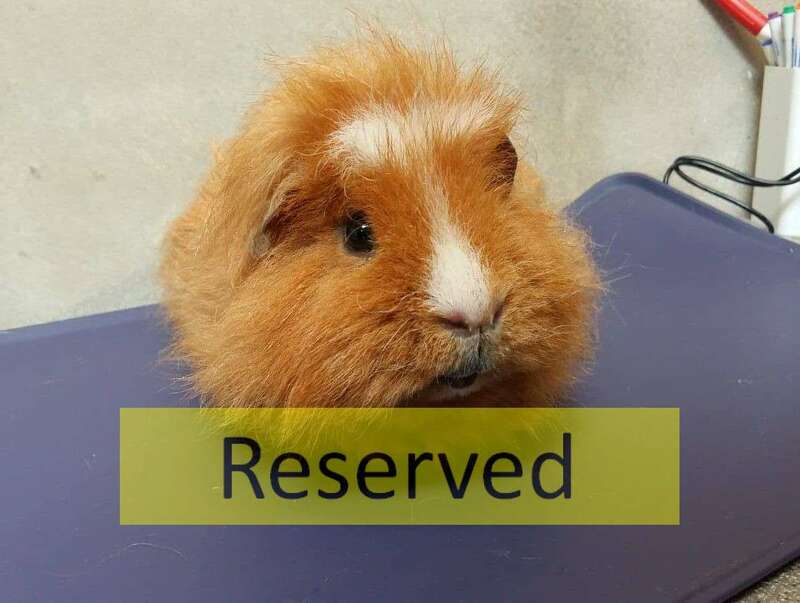 Copper is a handsome neutered male Guinea Pig at around 1.5 years old. Copper came in with a male companion, however the two started to argue so were separated. He is a lovely ginger colour with specs of white on his face. Copper is a fairly confident pig, and doesn’t mind being handled or sitting on a knee for a stroke. He can take a little while to settle in a new home environment, but really shows his character when he gets into a good routine. We feel he would benefit greatly if he had a lady pig to bond with. If you feel you have the right home for Copper, please call up to the sanctuary, speak to the staff and fill out an application form! !